April 24th is World Lab Animal Day, a day when across the world we highlight the suffering of laboratory animals with one voice. We need you to be part of it. Can you help us raise much needed funds and awareness for animals in laboratories? Animals are burnt, blinded, mutilated, poisoned and given cancer in an industry shrouded in secrecy, protected by governments, and the propaganda of a multi-billion pound industry. We are the voice of the animals – their only voice. If you think you might be available to take part in a local street collection, please give us a call on 020 7630 3340 or email us at info@navs.org.uk. We will arrange any permits required and give you everything you need for a successful collection. Lab Animal Week is more important than ever. 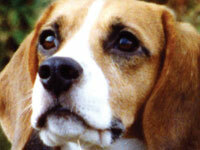 Can you help raise vital donations and awareness to end animal experiments? Take part in an NAVS street collection. We need collectors across the country. Click here to send a donation to NAVS to help animals..
Take 25 Lab Animal Week leaflets to give to friends, family and colleagues. Don’t give to charities that fund animal research – visit navs.org.uk/charities or contact us for a FREE handy pocket guide. Promote Lab Animal Week on social networking sites. Wear an NAVS Unlock the Labs padlock badge, only £1, or a NAVS recycled fleece or scarf, all available from our online store. To take part or find out more, call 020 7630 3340 or email us at info@navs.org.uk. Click here to donate to NAVS now.